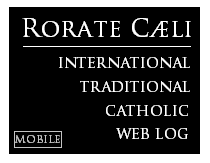 RORATE CÆLI: "Who Am I to Judge? Pope Francis T-Shirt Celebrates Diversity"
"Who Am I to Judge? Pope Francis T-Shirt Celebrates Diversity"
NEW YORK, Feb. 27, 2014 /PRNewswire/ -- ...Executive Chairman, Tom Gallagher, unveils iconic "Who Am I to Judge?" Pope Francis T-shirt. This universal message is especially timely with the recent news about Michael Sam and Ellen Page coming out. However, "Who Am I to Judge?" goes beyond the gay, lesbian and LGBT community. It's a global message that applies to communities and Archetypes everywhere. "We created this T-shirt with a nod to Pope Francis and introduction to the concept of wanting people to be known for who they are according to their Archetypes, not based on someone else's stereotype," stated Gallagher. The "Who Am I to Judge?" T-shirt celebrates Pope Francis' response to a reporter's question about gay priests in the church. With those five words, Pope Francis stepped away from the disapproving tone and showed a gesture of openness, which startled many in the Catholic world. "Scolding is out in Rome; hand holding is in," according to NBC News. "Pope Francis, also known as Time's Person of the Year and Twitter's #bestpopeever has rebranded the church as a welcoming, compassionate church for the poor as opposed to a church that nags people and is worried about rules and regulations." [They] tapped New York City-based graphic designer Glenn Wolk for his compelling imagery of iconic figures like the Rolling Stones, Led Zeppelin and the Beatles. 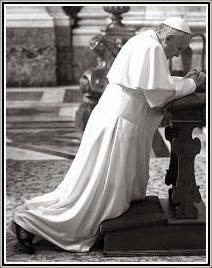 The result: A powerful combination of Francis' image, his words and a Scripture quote (Luke 6:37) about "judging not, and you will not be judged." ...[The] gallery of people wearing the iconic T-shirt [includes] models, social workers, a Jesuit university president, newsmakers and students. The white, long sleeve "Who Am I to Judge?" T-shirt is available in five sizes (S, M, L, XL, XXL) for $25.00 [in an online store]. Perhaps, just perhaps, it is time for a clarification of this phrase, “Who am I to judge?” Perhaps, just perhaps, the official explainer, Fr. Lombardi, should tell the world what this means. Perhaps, just perhaps, the Bishop of Rome, should tell the world what this means in the context of Jesus Christ’s words “Judge not and you will not be judged” in the Gospel of St. Luke. Perhaps the important distinction between sinful condemnation of a person in one’s heart and making a valid moral judgment could be pointed out. Perhaps there can be a clarification of these words within the context of the teaching of the Church on human sexuality as clearly set out in the Catechism of the Catholic Church. The store includes a gallery of photos showing different people wearing this t-shirt. The photo that most touched me was the one above of a geography class in a Catholic school with some of the students wearing this T-shirt ("Holy Names Geography Club in their orange Z Day ribbons, supporting Mark Zmuda. More photos to come! ‪#‎zday‬"). The smiles on the faces of the kids are real and touching. The context is their support of a teacher in the school who was fired for "marrying" another man. For these Catholic kids what is most important is being nice to other people and being open to "alternative" life styles. The questions of salvation, of truth, of sacrifice, of faith with content: how can these compete with a smiling Pope and “Who am I to judge” on a T-shirt? And there is the real tragedy. But we live in hope. And perhaps, just perhaps, someone, even the Bishop of Rome, will let those kids and the world know what that now famous question means.